Raksha Bandhan also called Rakhi Purnima or simply Rakhi in many parts of India and Nepal is a Hindu religious and secular festival. In simple words, Raksha Bandhan means “Bond of Protection”. The festival celebrates the love and duty between brothers and sisters. It is also popularly used to celebrate any brother-sister relationship between men and women who may or may not be biologically related. The festival is also observed by Jains as a religious festival, as on Raksha Bandhan, Jain priests give threads to devotees. The Brahmins and Bahuns (Vedic Brahmins) of Nepal and North India change their Janai on this occasion. 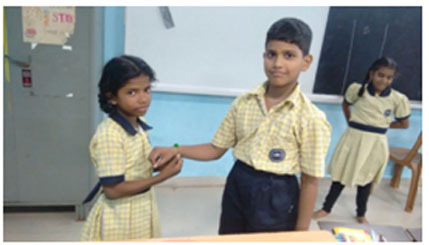 We at SSRVM also celebrated Raksha Bandhan on 18th August, the school provided Rakhi to all the girls. All the boys were asked to volunteer for the event and it was celebrated with happiness. 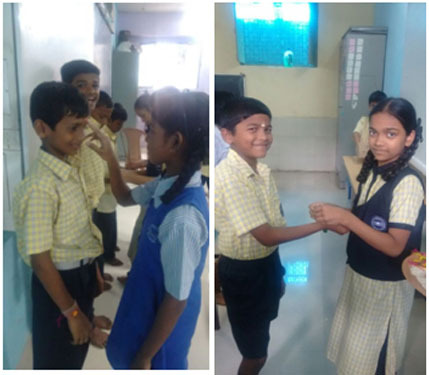 All the girls and boys were told about the importance of Raksha Bandhan and videos were shown to the kids on its importance.